Want to start a broadcast? Check the Streaming Guide first. Larix Broadcaster allows to encode and broadcast video and/or audio live content from your mobile device in real-time over WiFi, EDGE, 3G or LTE. - Allows using RTSP and RTMP streaming protocols. Create a free account on telestream.net and download your trial from `Download` area. VidBlasterX is a native 64 bit program and requires a 64 bit version of Windows 7 or higher. To get the best performance from VidBlasterX a lot of factors need to be considered, but probably the most important factor is the CPU. VidBlasterX makes extensive use of multi-threading, and as a result has great multi core performance. So besides clock frequency, the number of cores is important as well. VidBlasterX is able to do an even load distribution on a 6 core (12 virtual cores) i7-5820K CPU ingesting 8 HD streams. At least 4GB 1600 Mhz memory or faster. One channel system SD, at least Intel i3 3 Ghz processor. Two channel system SD, at least Intel i5 3 Ghz processor. Four channel system SD, at least Intel i7 3 Ghz processor. Per channel is at least 1GB free memory needed. More hints and preferred configurations here. NVS-25 can be used in recording mode to record an MP4 or .TS file to a USB storage device, and it can be used in encoding mode to generate an H.264 stream. The Teradek VidiU gives you the freedom to broadcast live high definition video directly to the Web without a PC. 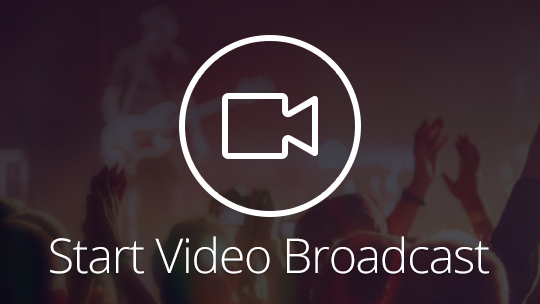 VidiU's generic RTMP interface allows you to stream your live video content to RevMediaTV. VidiU offers a free application for iOS and Android that allows you to monitor your live broadcast in real time. Windows 7(SP1) certified PC or workstation. Or Windows 2008 (SP2) with Windows Media Service(Desktop Experience) certified server with sufficient space to install the selected Blackmagic Design Decklink or Intensity IO card. Now you can be the director, producer, and star of your own live show with Teradek’s new Live:Air Solo. Uniquely designed for the iPhone, Live:Air Solo is packed with real-time creative tools such as graphics, overlays, transitions, and support for all of the popular live streaming destinations. Share your adventures and events using the new Live:Air Solo. Streaming at your fingertips. Your phone is always with you and so is Live:Air Solo. Simply launch the app, frame your shot, and go live using your device’s 3G/4G/LTE connection for a full HD stream. Use Winamp media player along with the SHOUTcast DSP plug-in to program and manage your SHOUTcast station in real-time. 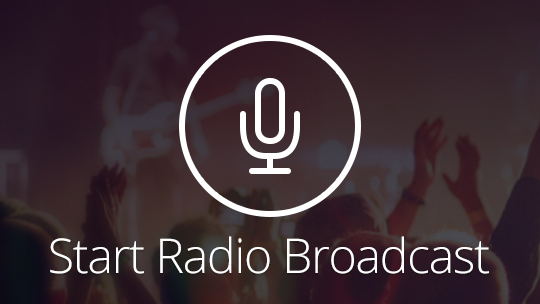 This plug-in will broadcast whatever is playing in your Winamp playlist in real time. Note: This version of the DSP plug-in will only work on Winamp 5.5 and higher and requires Windows 2000 and higher. Intel® Pentium® 4 or AMD Athlon™ XP, 1024x768 resolution, DirectX compatible soundcard, 512MB RAM & 50MB free on the hard drive. Intel® Core™ 2 or AMD Athlon™ X2, 1280x1024 resolution (or higher), Multi-channel DirectX compatible soundcard, 1024MB RAM & 200MB free on the hard drive. Intel® processor, 1024x768 resolution, CoreAudio compatible soundcard, 1024MB RAM & 50MB free on the hard drive. Intel® processor, 1440x900 resolution, Multi-channel CoreAudio compatible soundcard, 2048MB (2Gb) RAM & 200MB free on the hard drive. When installing SAM broadcaster it is mandatory to install Firebird plugin as well. To enable MP3 streaming which is required by our server side technology, you must install the LAME MP3 codec. Airtime is open source radio automation software (GPL v3) for GNU/Linux platforms, but once installed can be controlled from anywhere using a modern browser. We recommend installing on Ubuntu Linux 12.04 LTS or Debian Wheezy on a computer with at least a 1 GHz processor and 512 MB of RAM for a Server Edition OS or 1GB of RAM for a Desktop Edition OS. You have to log in to your account to continue. If you don't have an account yet, you can choose to create a FREE account from the Registration screen. It looks like you are not allowed to create channels. To continue you have to upgrade your account. It looks like you haven't create a channel yet. To continue, you first have to create a channel. It looks like you are not allowed to broadcast live. To continue you have to upgrade your account.